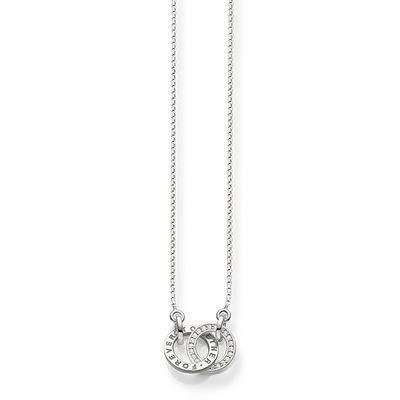 This beautiful necklace by Thomas Sabo is made from 925 Sterling Silver with sparkling Cubic Zirconia Pave. The motif of interlocking rings, engraved with the words "together forever", signifies the unbreakable bond of true love. The perfect romantic gift.